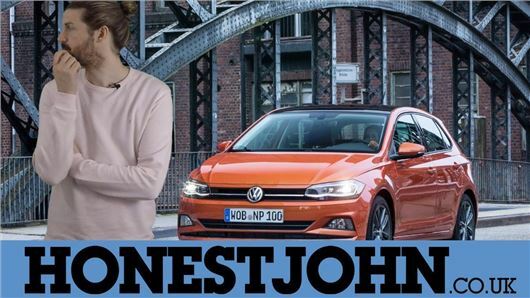 VIDEO: new Volkswagen Polo - small hatch perfected? We've come to expect a specfic sort of bland near-perfection from Volkswagen, and ultimately the new Polo accomplishes that. But there is a little bit more to it besides. Imagine a vicar wearing a tight lycra neon jumpsuit and you'll understand. No? Click play above for it to make sense. Please subscribe to our YouTube channel if you like the review videos we do. We'd appreciate that. So you know the difference between a Golf and a Polo? How can we trust you when you said it was Status Quo and yet the 1 second clip was of ZZ Top (I think it was Tush)!